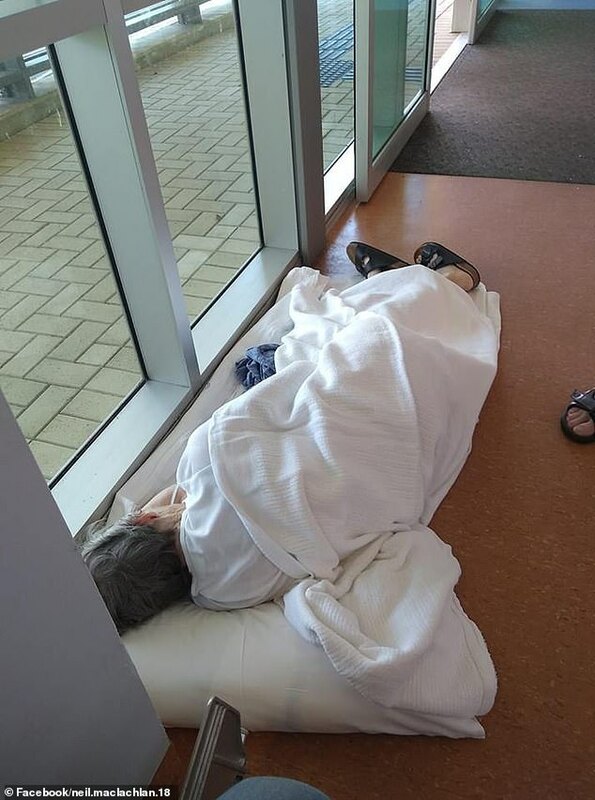 An 84-year-old woman claims she was forced to lie on a hospital floor in debilitating pain for two hours because there were no available beds – and she was in too much agony to sit on a chair. Neil MacLachlan accompanied his mother in an ambulance to a regional hospital in Western Australia’s mid west on Thursday after suffering severe kidney pain. Mr MacLachlan claims he was told there were no beds for his mother, before staff handed him handed him blankets and pillows, the ABC reported. His mother, who wished not to be identified, was forced to lie on the floor of the emergency ward. Posting the heartbreaking image to Facebook, Mr MacLachlan spoke of the sadness he felt. ‘We are not impatient people [but] they could have at least offered her a bed because that was what her immediate need was.’ he told ABC News. After two hours, his mother was eventually offered a bed in a corridor. ‘It was not the most comfortable but I was relieved to be able to lay there as I couldn’t sit in a chair,’ the mother revealed. She said she would not make a formal complaint against the hospital, but hoped her situation would serve as a message. 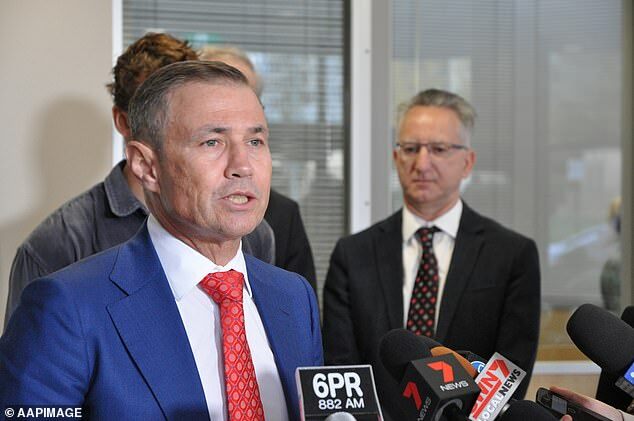 After the image was posted, WA Health Minister Roger Cook responded directly to the post, apologising for the incident, calling it ‘appalling and unacceptable’. ‘I have asked for an urgent meeting to ensure this doesn’t happen again. If you have any further concerns please contact my office,’ he wrote. Mr Cook also said that he had contacted his mother via phone and had apologised on behalf of the hospital. The post also garnered an enormous reaction with many Facebook users lambasting the hospital’s decision. ‘Definitely not acceptable. Surely the hospital has trolleys that they could have placed the old lady on,’ one user commented. ‘Not bloody good enough to pay tax all your life and this is the health system we provide our elderly, shameful,’ another wrote. A spokeswoman for the WA Country Health Service said all presentations to the emergency department were treated in line with their levels of priority. ‘In situations where the emergency department is busy and a patient isn’t able to sustain sitting or standing, we will always provide a trolley as soon as possible.’ she told ABC News. The incident comes after the same hospital went into code yellow in 2018 on five separate occasions before there weren’t enough beds. During these times, over 400 elective surgeries were forced to be either rescheduled or cancelled.